Mayor Don Guardian of Atlantic City (center) with several organizers of the event, including Mark Taylor (far right), Catholic Charities’ Director of Ready, Vet, Go. This past weekend, our nation celebrated Armed Forces Day – a day to reflect upon the countless sacrifices that the men and women of our military have made for our country. 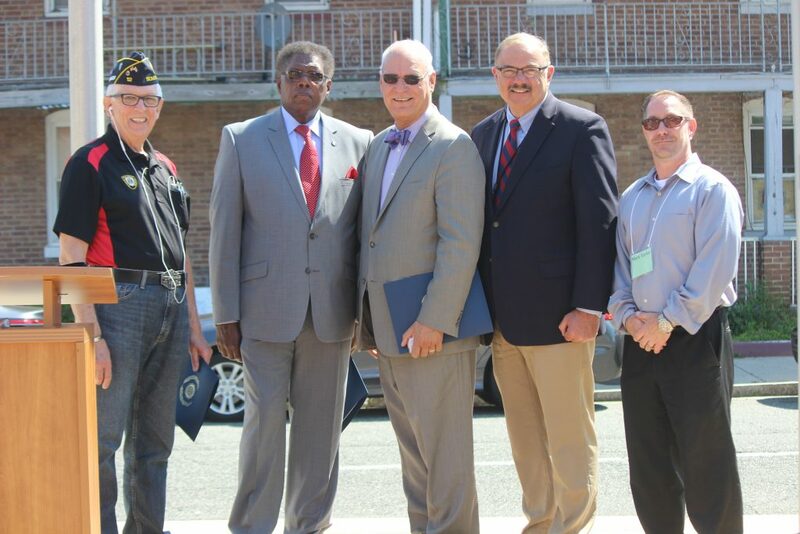 Wednesday was particularly meaningful to the members of Catholic Charities’ Ready, Vet, Go program, as they were all present at the All Wars Memorial Building in Atlantic City as a part of the annual Stand Down event – a day in which various organizations from across the state gathered to offer their services all in one location to over 200 homeless veterans who attended the event this year. Government officials including Mayor Don Guardian of Atlantic City were also in attendance. For most veterans, returning home is a joyous time. But some veterans need extra support to re-establish themselves and rebuild their lives back home. 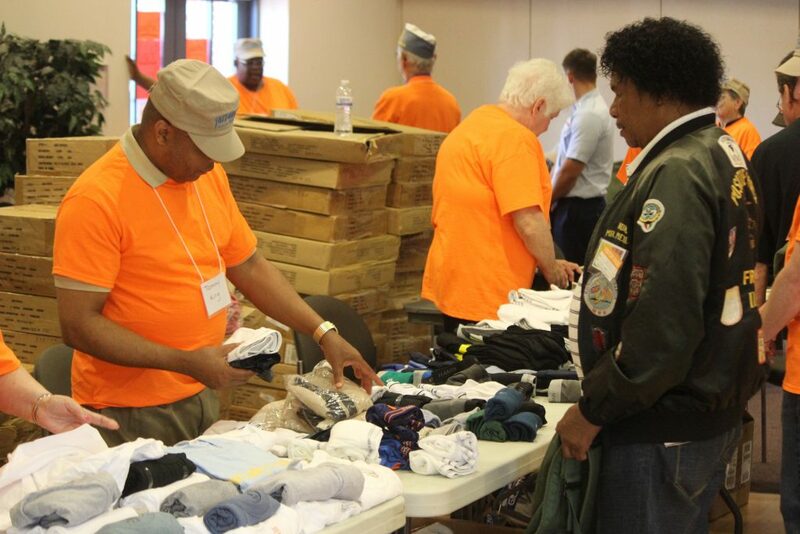 In addition to helping veterans qualify for various programs such as VA benefits and housing assistance, Catholic Charities staff also distributed clothing donations collected from parishes across the Camden Diocese. 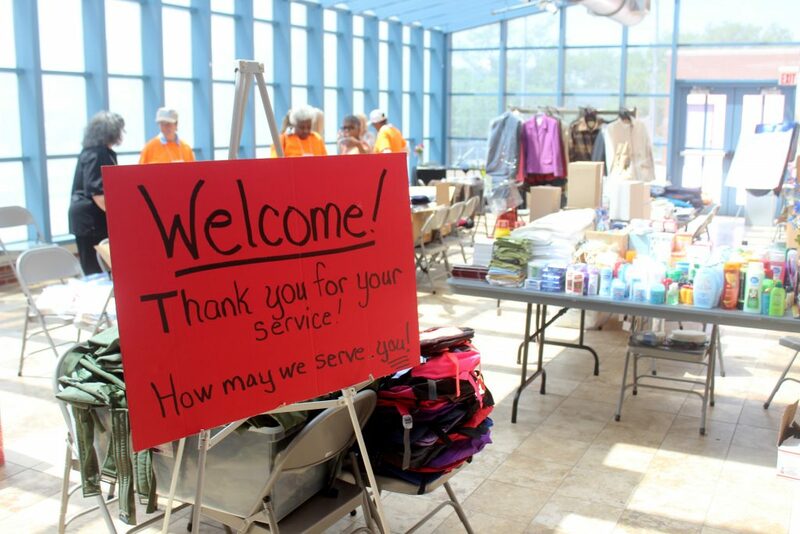 The building was bustling with activity from 9 AM until 3 PM, as volunteers, many of whom were active duty personnel or veterans themselves, welcomed homeless veterans and guided them to the various resources set-up for them. 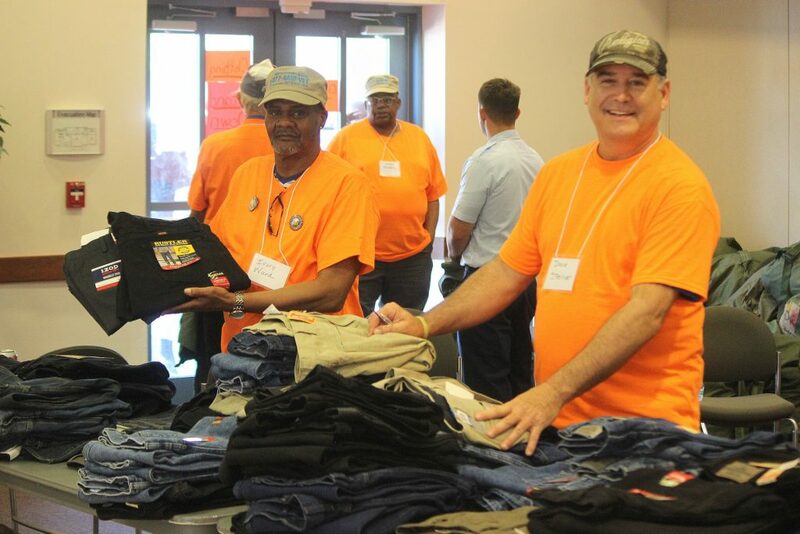 In addition to receiving housing and employment referrals, vets were also able to receive free haircuts, meals, toiletries, and duffel bags which they filled with shoes and clothing donations. On the second floor, medical personnel were available to provide free health and wellness checkups, physical and mental health services, and other resources. A volunteer distributes clothing provisions to a homeless veteran. 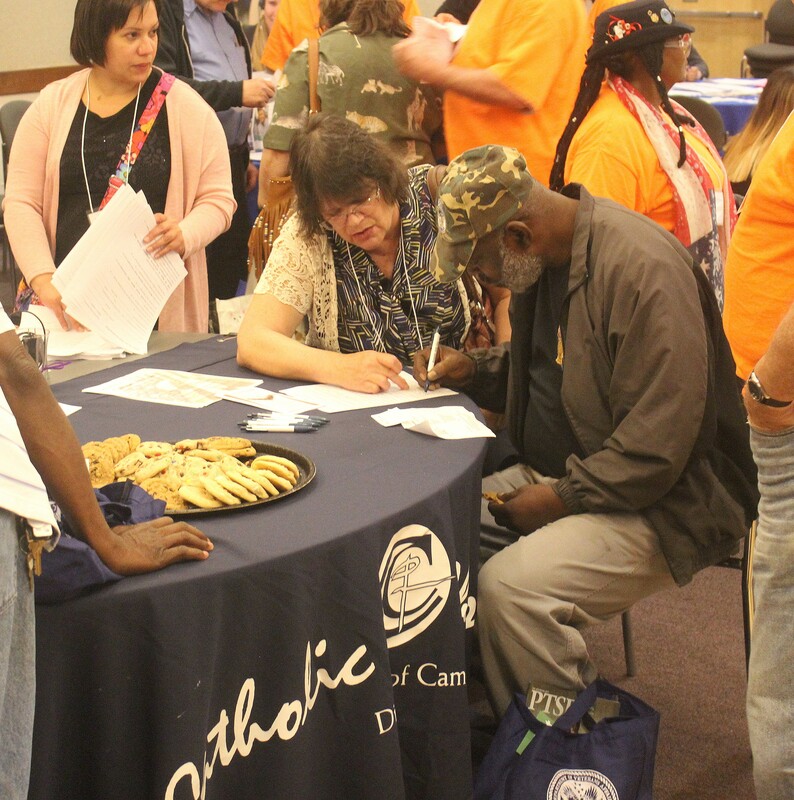 “The Stand Down event addresses many immediate needs of these vets, but also links them with resources to help them achieve longer term self-sufficiency,” explained Mark Taylor, Director of Catholic Charities’ Ready, Vet, Go program. 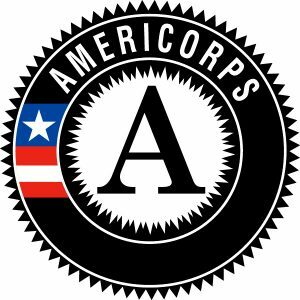 “It is the collaboration of so many organizations, such as what you see here today, that goes a long way in helping restore hope and dignity for these men and women who deserve our community’s very best services and assistance,” he added. 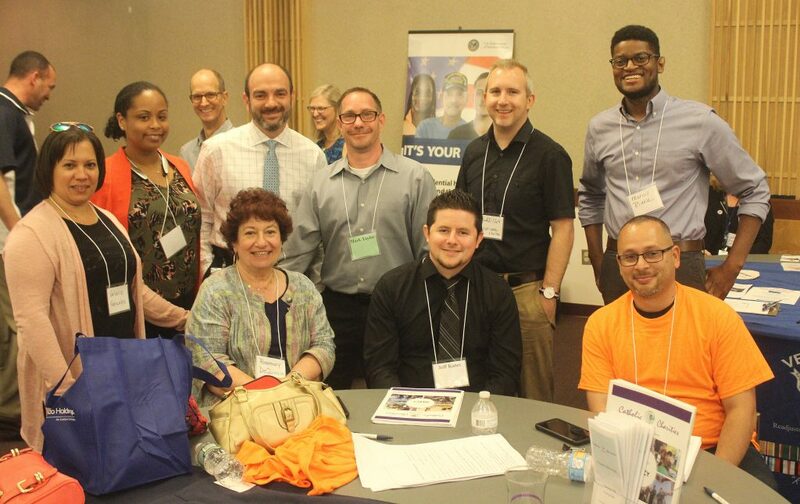 Catholic Charities’ Ready, Vet, Go! (Veterans’ Assistance) staff members. 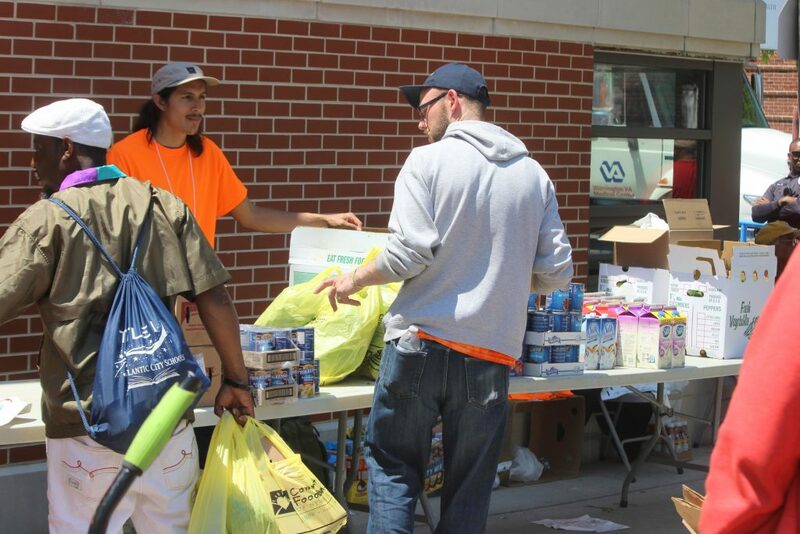 Volunteers who are also veterans prepare donations to distribute. Donations for homeless female veterans. 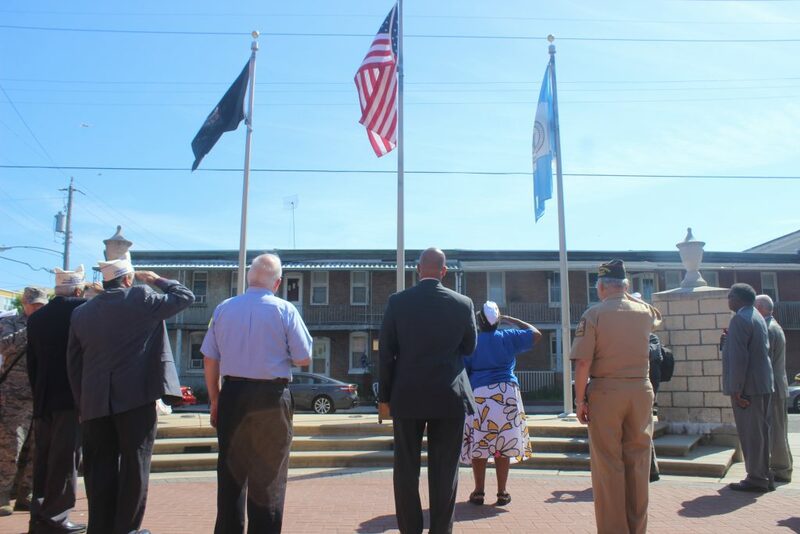 Veterans and event organizers salute the flag at the start of the day.